The end is very very near, so there are a couple important announcements. The Stuffed Animal Sleepover is now ages 0-Kindergarten (please speak to me if you need an exception). Deadline for turning in reading logs for prizes is Thursday at 6pm. WE NEED MORE TALENTED PEOPLE! If you can: write books (show them off! ), sing, yodel, juggle, do magic, dance, do gymnastics, tell jokes, play the kazoo, etc.....WE WANT YOU! Monday at 12:00--Sandwiches & Stories. Bring your lunch for a picnic story time, followed by a craft/activity. All ages, drop in. Tuesday at 12:00--Bookmobile. North Route. 4:00--Stuffed Animal Sleepover (ages 0-Kindergarten). 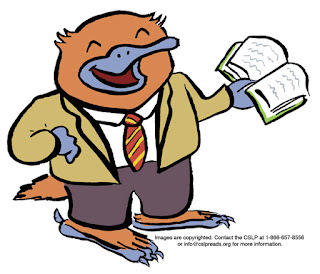 Bring your second-favorite animal/doll to the library for a story, then leave them overnight. Pick them up with a book of their stories at noon on Wednesday. Thursday at 12:00--Bookmobile. South Route. Monday, 12:00pm--Sandwiches and Stories. 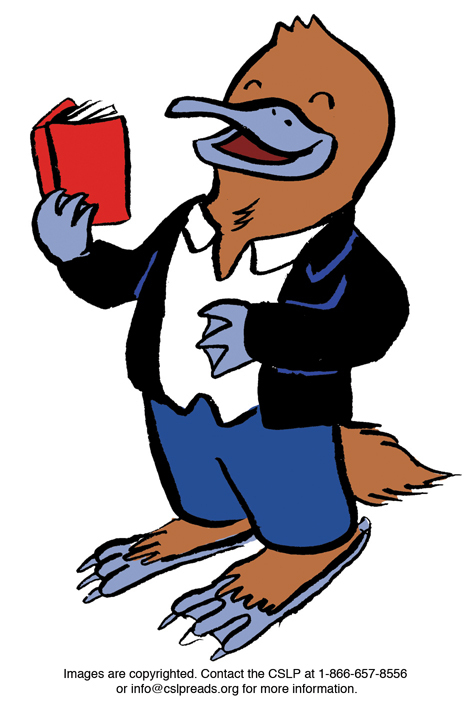 Bring your lunch to the library for a picnic with stories, followed by a game/activity/craft! This is an all ages drop in story time. Wednesday, 6:00pm--Superhero Academy. Sidekicks! We all need them. Choose carefully, build some trust, then fight evil together! 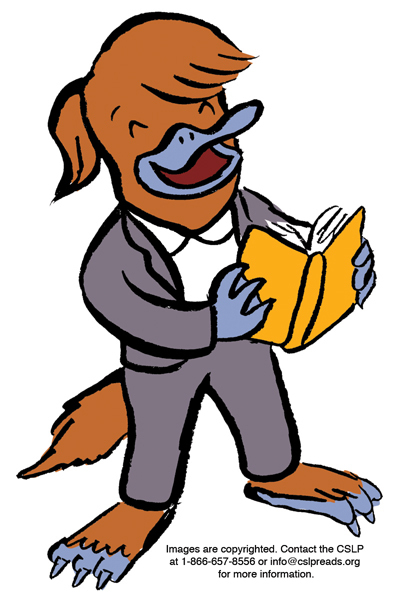 Monday, July 13, 12:00 Sandwiches & Stories: An all-ages picnic story time! Bring your lunch, we'll provide stories and an activity or craft. Wednesday, July 15, 6:00pm--Superhero Academy (ages 6+). Create a mask, learn night vision and x-ray vision. Friday, July 17, 3:00pm--Meet a Hero! The Seabrook Fire and Police Departments will be here in the library parking lot with a truck or two, a car and hopefully a motorcycle. This is your chance to meet real life local heroes--please come talk to them and hear their stories! 1) Christopher Manor Apartment complex just east of Pickens Ave.
and the end of that day's camp. Please have your library card ready! or call 474-2044 and ask for Lisa! Thursday route needs some tweaks for safe parking without blocking the road! Still starting at 12:00pm and running approximately 10 minutes between stops. 1) Christopher Manor apartments--I'll drive slowly to the back, then up through to be as close to the road as I can without being a problem. 6) Veteran's Memorial Park--the parking strip by the ball field. 8) Lakeshore Drive--again, no good place to stop and sit, but I'll just drive through that whole neighborhood really slowly. After a short week, we're ready to hit full speed now. 3:00 NHSPCA Field Trip--please email or call Lisa before 4pm today to sign up. 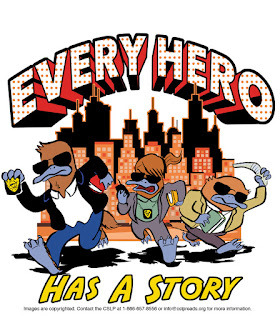 Wednesday, July 8, 6:00pm--Superhero Academy (ages 6+). Choose a superpower, find a mission, design your cape! 3:30 Sunflower Planting and Craft: You can plant a beautiful flower and make a craft, thanks to Topsfield Fair! Questions? Reply or call 474-2044 and ask for Lisa! The Bookmobile rolls this week! Both routes, Tuesday and Thursday, start at 12:00pm--arrival at any point after that will depend on response/demand. Each stop will be as close to the designated intersection as safety allows. 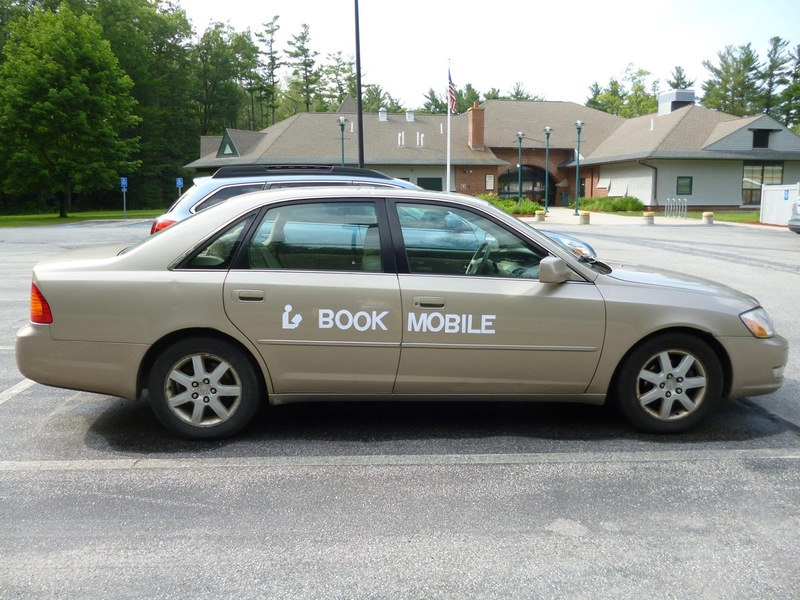 Watch for the tan car labeled "BOOKMOBILE". Please have your library card ready to go! 1) Collins St. Apartment complex just east of Pickens Ave. Note: The goal of the Bookmobile is to reach CHILDREN (I will not have teen or adult books on hand) who cannot otherwise access the library. 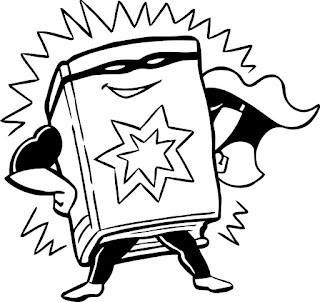 If you can make it to the library, please do so--there is so much more available there than the Bookmobile can carry! The Bookmobile rolls tomorrow! Both routes, Tuesday and Thursday, start at 12:00pm--arrival at any point after that will depend on response/demand. Each stop will be as close to the designated intersection as safety allows. Watch for the tan car labeled "BOOKMOBILE". Please have your library card ready to go!